Interested in doing an iPhone IMEI check? Then you are probably trying to unlock your device, find out if it is blacklisted, or simply look for more information about your smartphone. We’ll help you on that with a few tips. Your smartphone has a unique identifier code that is known as an IMEI. The letters stand for International Mobile Station Equipment Identity. Each phone can be identified by this distinctive number. The International Mobile Station Equipment Identity number is a 14-digit decimal string with an additional check number and an IMEI/SV on newer smartphones. It stores valuable information on your device. The purpose of this code is to identify mobile phones. And the other important intention is to prevent theft. IMEI numbers are coded into the hardware, and it is nearly impossible to succeed in changing them without damaging the device. When the carrier is informed about the stolen device, it can place the IMEI code on a blacklist and lock it out of the network. iUnlocker lets you check your iPhone’s IMEI on size, model, serial number, color, coverage status, sim lock, and other information. IMEIPro enables you to check if your iPhone has been reported as stolen anywhere across the globe. When buying a used phone, it is important you check to see if it not blacklisted. If it is, that device cannot be used with most carriers. The service claims to have a 99.9 percent accuracy. Another free iPhone IMEI check service, iPhoneOX provides you with product description, activation lock status, warranty and activation information, and helps you find out if your iPhone is locked to the carrier. If you want to find out more information stored in your IMEI, users have to purchase premium paid check services. If you don’t know where to look for the IMEI, check out the five ways through which you can get the unique number. Copy or write it down, and then paste it or type it in your preferred IMEI checker website from the above list. 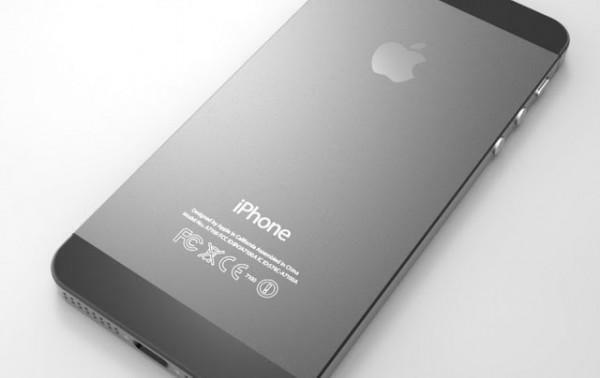 Look at the back of your smartphone and you will see the IMEI number engraved on it, near the bottom. On these models, the IMEI number is engraved on the SIM card tray. Open the settings app on your smartphone’s Home screen. Tap About in the General menu and pick IMEI/MEID. This will reveal your IMEI number. If you don’t have the IMEI engraved on the back of your device, and you can’t turn your iPhone on either, you can use iTunes. Connect the smartphone to the computer and open iTunes. From the Device menu, select iPhone and then click the Summary tab. Then, click the Phone Number entry and it will display your IMEI. Open the Phone app and tap Keypad. Enter *#06# and it will register automatically. Your IMEI number will appear on the display. You iPhone’s IMEI number is very likely to be printed on the device’s retail box and the bill. If you still have these items, check them out. Has your smartphone been stolen? No need to worry. You can still get your hand on the IMEI code without actually having to hold your iPhone in your hands. iTunes comes to the rescue once more. Open iTunes, go to Preferences and then select Devices. You will be displayed a list of device backups. Holding the cursor above that particular device, you are given various information including the IMEI. When buying a used iPhone. If you are planning to buy an older phone, it is quite crucial you do an iPhone IMEI check before making the purchase. If the IMEI description reads “Bad IMEI”, then that smartphone will most likely not connect to any network. Also important when buying a used device is to check to see if that phone has been stolen. The IMEI number holds that specific information as well because carriers blacklist stolen device. When getting your iPhone in a repair shop. You can never be too cautious when it comes to people trying to trick you. If you took your smartphone to a dodgy repair shop and it got returned hardware-dead, it is best to check if it is indeed yours. So find your phone’s IMEI number and write it down. It is best to have that information stored somewhere in case you might need it.